This tour is available with English or Spanish commentary. Please indicate your chosen language when you book. Please meet the tour at Starhotel Terminus, Piazza Giuseppe Garibaldi nr. 91 at 8:30am. You will receive detailed instructions in your confirmation email once you have completed your booking. 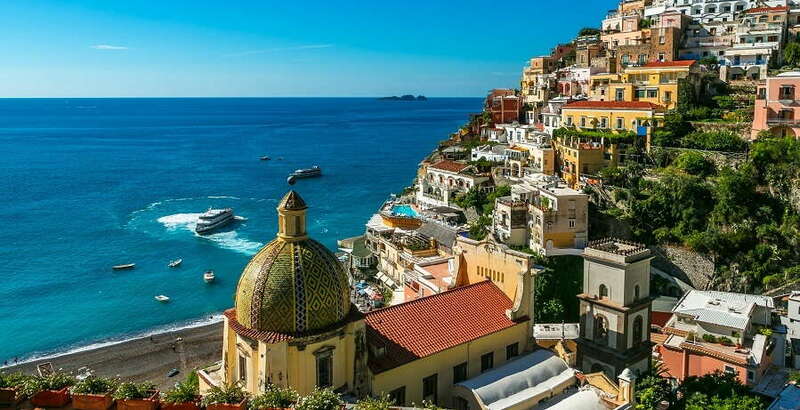 Experience the breath-taking beauty of the Amalfi Coast on this one-day adventure that leaves the hustle and bustle of Naples city behind. 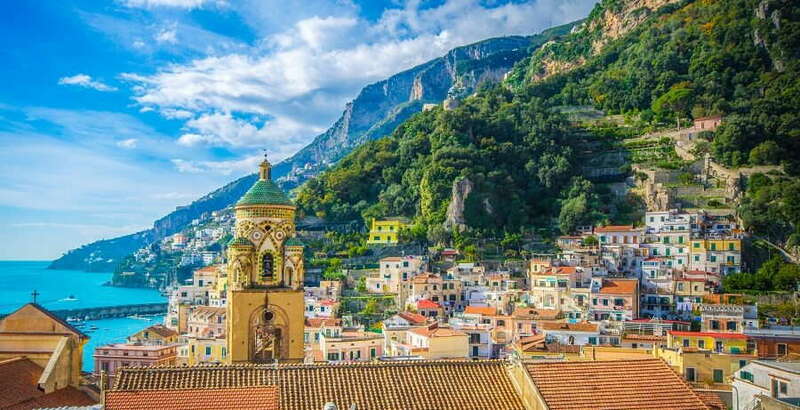 You’ll have to the chance to explore everything the Amalfi Coast has to offer while delving deep into the historic charm that imbues the region. Don’t forget to bring your camera, as there will be plenty of panoramic views over the spectacular Bay of Naples to capture. The tour begins in Naples, where you’ll meet your guide and start your journey towards the Amalfi Coast. As we near, you’ll be greeted with a cove-studded coastline that’s peppered with pretty villages and rugged beaches. Along the way, you can marvel at the endless ocean views before we stop off for free time in the charming village of Positano. Here, you can wander through artisan shops and admire the impressive architecture of the Santa Maria Assunta Church. From there, we’ll head through Praiano, a jaw-dropping valley that’s been fortified with rock walls, until we reach Amalfi, a UNESCO World Heritage-listed town. 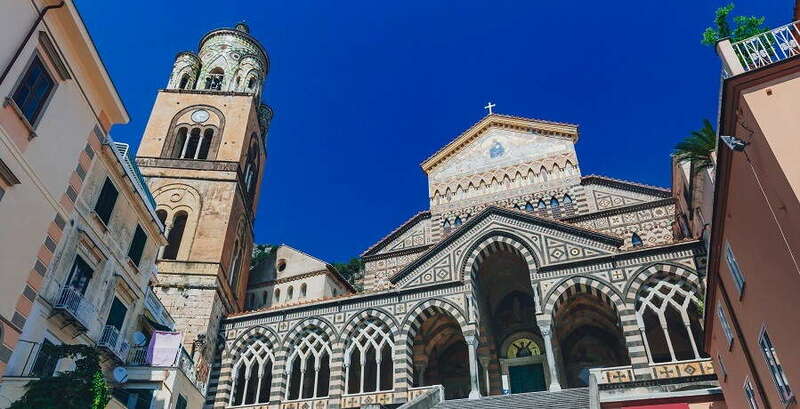 Once there, you’ll have the chance to explore some of the most popular sites, including the 9th Century Roman Catholic Amalfi Cathedral that’s home to the relics of St Andrew. Afterwards, we’ll move on to Ravello, another UNESCO listed site that is characterised by cliff-side gardens and centuries-old Italian villas. Once you’ve had your fill, we’ll hop back on the coach and return to the vibrant heart of Naples. 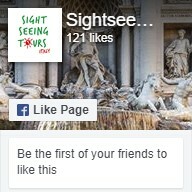 Why not check out our other Amalfi Coast Tours?